It is fall in Minnesota. The leaves are changing colors, the air is crisp, and football season is in full force. For the Fitzy house that normally means Sundays are spent going to church, watching football, and snacking. 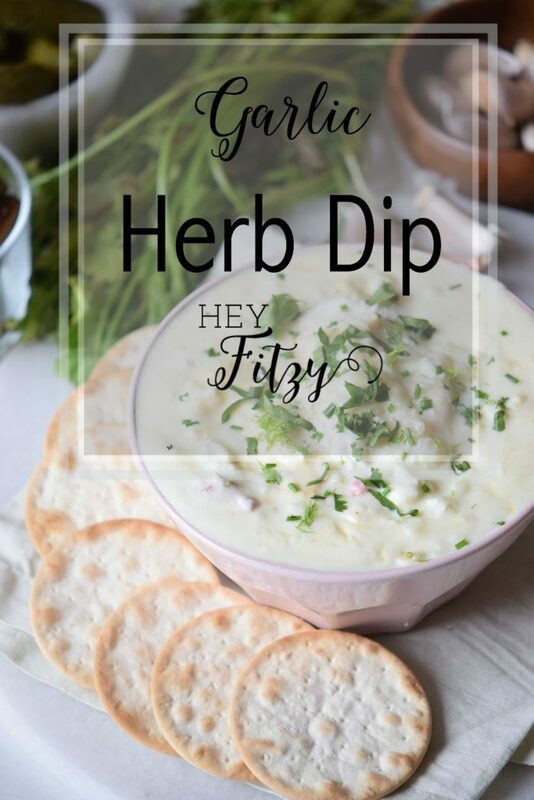 This batch of garlic herb dip is a family favorite that can be served with a variety of crackers or chips. And…on the rare occasions you have any left over, it is good for several days in the refrigerator. 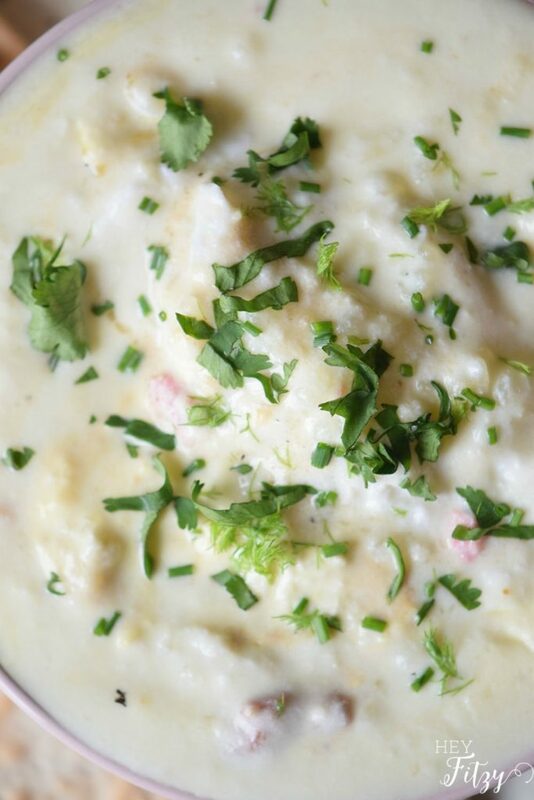 Use an electric mixer to combine the garlic, olive oil, mayonnaise, cream cheese, yogurt. While mixing, add the parsley, chives, and dill. Leave some for garnish. Sprinkle salt and pepper to taste and mix for 30 more seconds. Pour the mix on a serving bowl and place it in the refrigerator for 1 hour prior serving. Add some chopped chilies for a spicy kick. This recipe is easy to whip up. You can adjust the amount of garlic to your preferred taste level. We tend to like garlic around here. 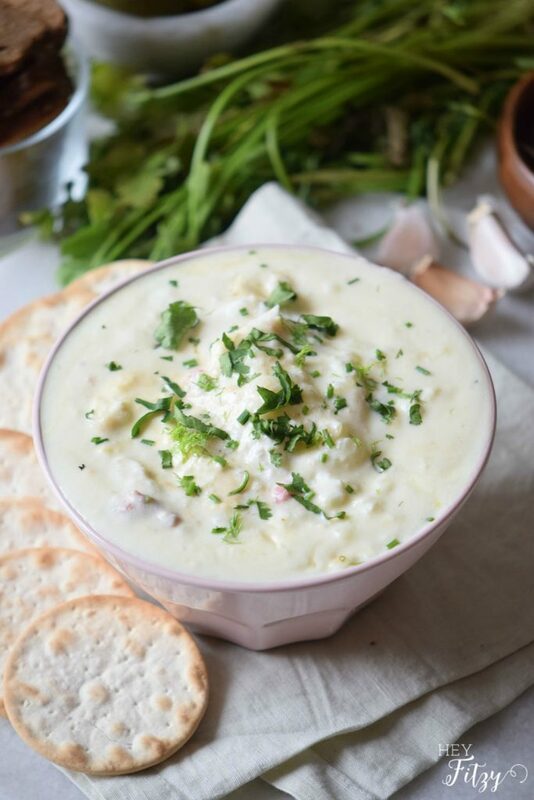 This garlic herb dip is also a crowd pleaser. It is not overly garlicky (is that really a word?). 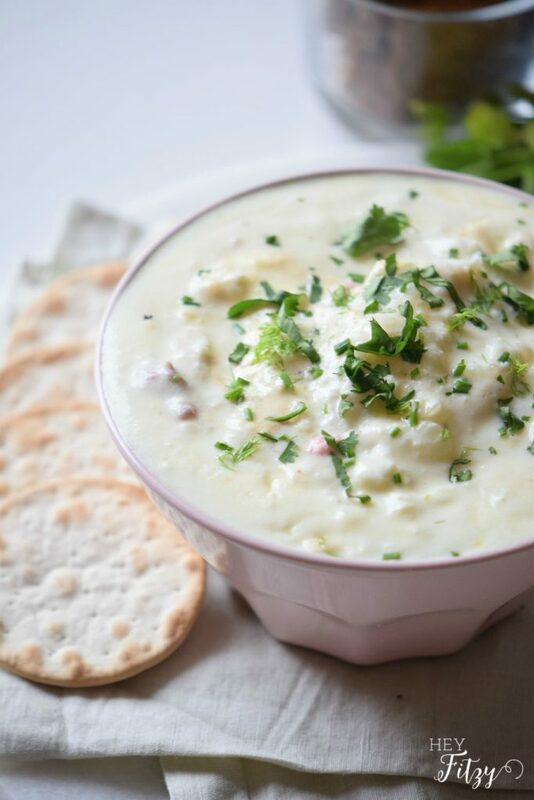 Next time you have to take an appetizer to a get-together, you can whip up this dip, grab a bag of crackers, and head out the door in no time. « No Place Like Home- Halloween- Fun Projects to Inspire You! As far as I'm concerned, garlic makes just about anything better. I'm intrigued by the combination of greek yogurt, cream cheese, and mayonnaise. Never would have thought to put those together. Thanks for sharing the recipe! Hi Leslie, I know right!!! It sounds like an interesting combination but trust me when I say it is so good!!! 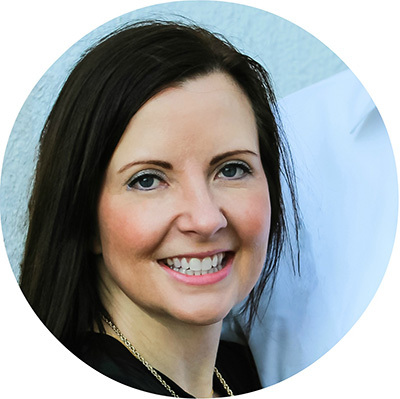 Hi Leanna, Thank you for pinning the recipe. It would be perfect for the holidays and I hope you love it as much as we do! Yum- this would be perfect for a girls night! Hi Jessy, I would agree! This dip would be perfect for a night with the girls!!! Hi Kim, Thank you for hosting a great party and for sharing!!! Thank you Kayleigh! It truly is divine!! Thank you Stacey!!!! It truly is divine!!! It is perfect for parties!! It can easily be made a head of time and kept in the refrigerator until the party!! !